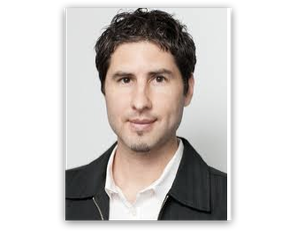 Moodyviews is glad to welcome Matt de la Peña, author of four highly successful young adult novels -- all published in quick succession to critical acclaim -- to her Kid Lit Bits Blog. Matt is the featured speaker for Writing and Illustrating for Kids, WIK 2013, in Birmingham, Alabama, Oct. 11 & 12. Based upon his success and popularity, we are lucky to have him as he is a busy, busy guy. Not only did he give the keynote at the 2013 SCBWI LA Conference, he also has a new book coming out in November -- The Living -- plus the release of his first middle grade novel -- Curse of the Ancients. His works have been called “gritty and mesmerizing” (Kirkus Review); “furiously paced” (Publishers Weekly); “intriguing [with] well developed characters” (Booklist); and “inspiring” (School Library Journal). I could go on, but you get the idea. He’s a recognized talent in the Young Adult market, with characters that “live and breathe” and plots that resonate. Not to mention, his readers love him and so do the critics. KLB: Matt, let’s start with your Dialogue Workshop. One participant at the SCBWI Conference in LA called your dialogue breakout session there “a killer.” What can our Southern-Breezers expect at your Workshop here should they live through it? Matt: First off, thanks for having me. This will be my first-ever event in Alabama. I’m excited. The dialogue workshop will be pretty intensive. Personally, I love writing dialogue. I think it makes a book really come to life. I sometimes find myself turning over lines of dialogue dozens of times trying to get the sound and content right. But in the past couple years I’ve realized how much dialogue is affected by subtle authorial decisions made outside of the quotation marks. I will be highlighting these decisions in the workshop. Oh, and folks will also be writing! KLB: How about adding a Kid Lit Bit and telling us more about those “subtle authorial decisions” made outside the quotation marks. Matt: I like to think about the math of a scene or an exchange. If you don’t get the math right (in terms of the distance between a set up and payoff or a questions and answer) the line might fall flat. But if you land on the right space between lines of dialogue, the dialogue will be more successful. This is where patience comes in. You don’t want to rush to the punch line. You want to deliver it when it’s time. KLB: The math? Yikes! Don’t tell me there’s really math in writing. Math aside, tell us more about making a scene come alive with snappy dialogue. Matt: I think a lot about reader psychology. Most of us don’t skip or even skim dialogue. This is where the characters are speaking directly. We’re not getting it through some narrator (even in 1st person). My theory is that readers want to watch and listen for themselves. They don’t always want to be led by a narrator. If the dialogue sings, and feels true, readers will be fully engaged. KLB: Math? Psychology? Definitely we’re in for a ride at your workshops. So, what about the pre-assigned reading for this workshop? Care to share those book titles here so we can get started? Matt: Sure. Seems like a great place to lay out the reading assignments. I’d love for folks to come to the workshop having read OKAY FOR NOW by Gary Schmidt and JESUS’ Son by Denis Johnson. I will be referring to these two books throughout the workshop. KLB: You talk about “dialogue strategies” on the Southern-Breeze web site. Would you share a Kid Lit Bit that will get participants excited about attending your workshop? -- not that they aren’t already excited. I hear your workshops are filling fast. Matt: I have strategies for how to stay in character and how to be true to that character’s age, class, education level and emotional context. If you get these wrong the reader will hear a missed note and unconsciously leave the fictional bubble we try and create as writers. With these strategies you will be a guaranteed best seller. Just kidding. But I hope to make folks think about dialogue in a new way. KLB: You’re also offering an “Intensive” -- “Get Out of my Way” -- on the Friday before the WIK Conference. It sounds fascinating and seems to tie in well with writing effective dialogue. How about another Kid Lit Bit on what we should expect? Matt: These two session fit together for sure. Here’s the biggest theme of the intensive. I believe readers want to participate more than most authors are willing to let them. The whole session will be about the importance of this collaborative relationship. KLB: You say it’s important to develop the relationship between author/narrator and reader. What do you mean by that? Matt: When I wrote my first novel I was showing off a lot of the time. I wanted readers to think, “Damn, this Matt kid can write!” But I think I was sacrificing (especially in early drafts) story in the process. Story is king. Characters are the stars. We as writers are just conduits. But here and there in a story, we will be presented with pockets where we can (as I like to say) do our thing. A patient writer will wait for those moments. KLB: To continue on that theme, could you more fully explain the function of the narrator in novel writing? Matt: Too much narration bores me as a reader. Especially when the narrator is telling me what to think or feel. A great narrator is engaging and interesting while still allowing space for the reader. KLB: How about another Kid Lit Bit that explains how you allow your characters to drive scenes and conversations? Matt: Here’s the way I look at it. The job of the writer is not to diagnose the characters, but merely list the symptoms. KLB: Definitely want to more about THAT. List the symptoms? That’s resonating. Workshop here I come. KLB: Now for some backstory. Yours is fascinating. You note in your bio that you went to college on a basketball scholarship. What was that like? What drew you from sports into the world of Kid Lit? Matt: I started off writing a lot of spoken word poetry. It was all heart and music, but I had no idea what I was doing technically. Basketball got me to college where I fell in love with literature. It was only when I became a reader that my poems started having substance. KLB: When you started plotting (ha ha) a different future for yourself, one that involved books and stories, you say that it didn’t come easy. Would you elaborate? Matt: Writing is a huge challenge. I think all of us make many missteps. Even after I got my MFA in creative writing, I still didn’t know the first thing about writing a book. I think finishing a novel is an education. You don’t always get where you planned to go. But you get somewhere. And that experience is invaluable. I rewrote my first novel about twenty times which took about two years. Sometimes it’s hard to continue to believe you can get a story right. KLB: I like that:” Got you an education...got you somewhere.” Sounds like progress to me, something all writers strive for as they work their way toward publication. KLB: How has being a member of SCBWI affected your journey to becoming a writer? Matt: I joined SCBWI after I published my first book. I really wish I would have known about SCBWI back in the day. It’s such an amazing community. I was flying blind for many years. I didn’t understand what YA was until my first book was released in that category. I had so much catching up to do. I admire those who find SCBWI on the front end of their career. You just know so much more that way. KLB: Anything more you’d like to share before we get together for WIK in Birmingham? Matt: I’m so excited to be in Alabama. I love southern fiction, and I want to just sit on a front porch with an iced tea, listening to some locals tell me about life. Can we make this happen? KLB: Without a doubt and make that a sweet tea. Moodyviews: FYI Matt’s debut novel, Ball Don’t Lie, was an American Library Association Young Adult Library Services (ALA YALSA) Quick Pick and was made into a motion picture starring rapper Ludacris. His second book, Mexican White Boy, was chosen again as an ALA-YALSA Best Book for Young Adults, in addition to being named a Notable Book for a Global Society, a Junior Library Guild Selection and included on the Blue Ribbon List of the 2008 Bulletin for the Center of Children’s Literature. He’s also the author of the award-winning picture book A Nation’s Hope: The Story of Boxing Legend Joe Louis. Matt received his MFA in creative writing from San Diego State University and his BA from the University of the Pacific where he attended school on a full basketball scholarship. He currently lives in Brooklyn NY where he teaches creative writing at NYU when he’s not visiting high schools and colleges throughout the country.